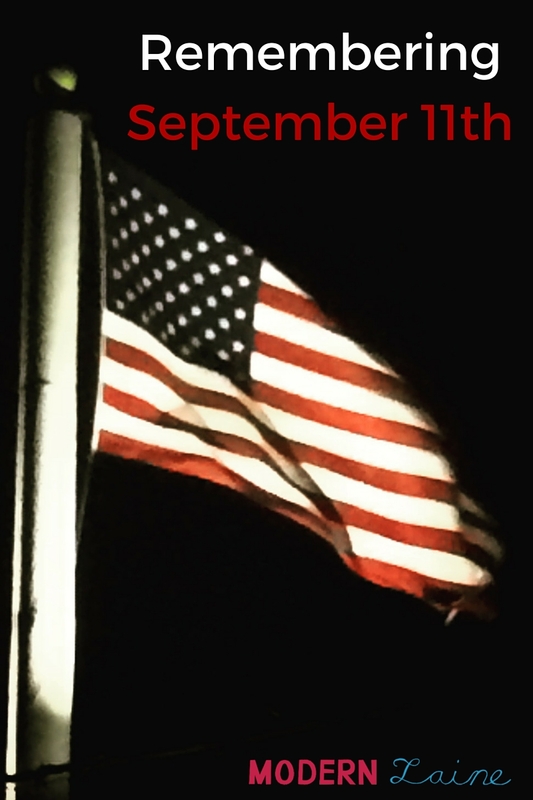 Today, September 11th, marks one of the saddest days in American history. For those who were living that day we all experienced the same emotions: confusion, anger, hopelessness, disbelief, worry and fear. As a country everyone, old and young, felt these emotions and many more that day and for the days to follow. It’s been 14 years since the planes crashed into the Twin Towers and the Pentagon, and even now watching footage from that day causes many people anxiety and fear. Last year I watched the life Today Show footage from that day. Listening to Matt Lauer and Katie Couric talk about what is going on as the footage rolls of the Twin Towers is eerie. Even though I know those towers will fall eventually it’s heartbreaking thinking that 14 years ago no one had any idea that it was possible. September 11th, 2001: I was in second grade and during the first part of the year my school was being remolded. This meant that the second and third grade classes were in little trailers behind the school. My teacher had one of the colorful rugs with letters, shapes and numbers in the room for story time and to brighten it up. On that day she was away at a conference and we had a substitute teacher, Mrs. Page. I adored Mrs. Page and she was such a wonderful lady. What I didn’t know then was that as we sat on that rug reading a story a plane was crashing into the second tower. My mom and godmother were at home drinking their coffee when they saw the footage of the plane hitting the first tower. They had to go to class that day and when they reached the college the second tower had been hit and it wasn’t long before they both came down. My mom said the part that upset her the most was how quiet the world was. The college is near the airport so the sound of airplanes coming and going is common. With no planes being allowed to fly the world definitely was very quiet. My dad worked at AOL in Florida and they locked them down for fear that someone would attack and try to shut down the internet. In today’s world it is hard to understand but in the world of 2001, technology was still very new and not as publicly accessible. I remember later that night after my mom picked me and my brother up from school we went to church. I remember being in the sanctuary for the candlelight memorial. It was dim and the dark wooden pews made the room feel darker, but there was little dots of light throughout the room from the little white candles everyone was holding. On this anniversary take time to remember how lucky we are. The further away we get, the harder it becomes to remember. But for many people, that fear, anger and sadness still follows them. Meg Cabot (one of my idols) writes about her experience living in Manhattan during 9/11. Reading her story really hits how terrifying it was for many people. She has an updated version from last year that reminds us that even though it seems so long ago, 9/11 still has a great affect on the world.